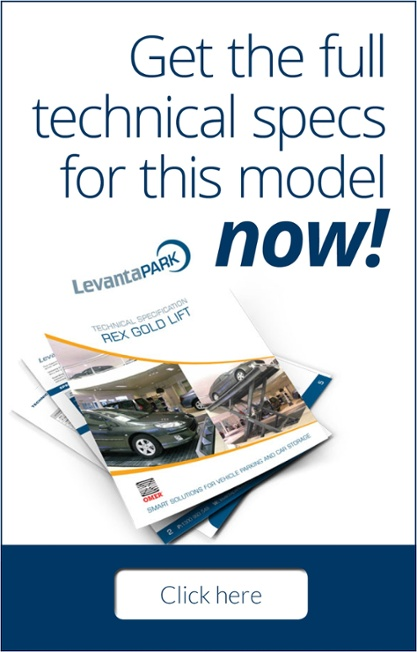 The versatile Rex Gold car parking lift uses a pantograph lifting system (scissor lift) to serve up to 4.10 metres, with a capacity up to 4 tonnes. With two moving legs, it lifts the platform in a symmetrical way, allowing you to use Rex Gold as a goods lift without the need to distribute the weight over the whole platform. 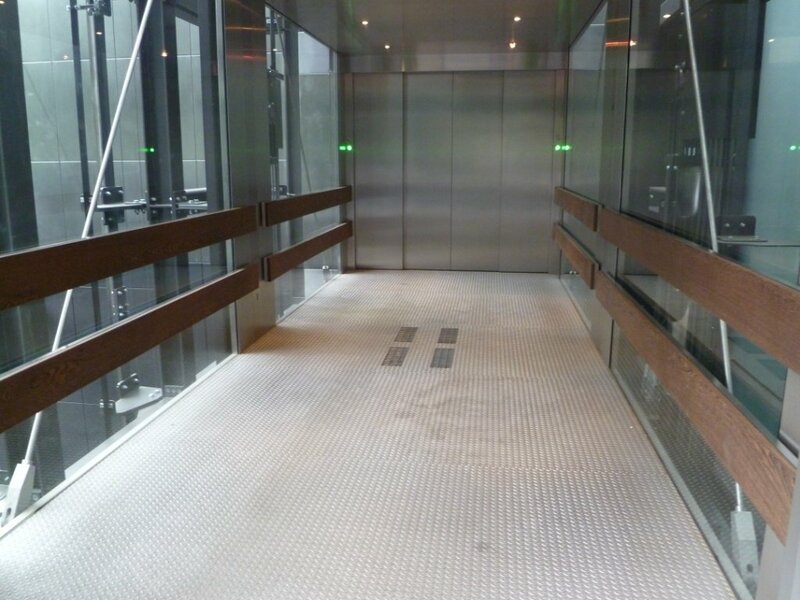 Optional platform sizes increasing to 6,000mm in length and 3,000mm in width are available. A roof version is also available. The electrical system junction box is situated on one side of the central beam. The two lifting pistons are installed on the mobile structure of the legs at the centre of the unit, minimising any encumbrance. The Rex Gold’s two cylinders are attached by a fixed connection to the centre, and run to the hydraulic system. An adjustable bar on the left piston holds the three types of limit switches, according to the desired height. There are two limit switches for the top level, two for the lower level, and one safety. All connection systems — both hydraulic and electrical — are neatly installed along the legs of the machine, minimising the required space and offering easy maintenance. Both these systems come pre-installed on the Rex Gold unit. The Rex Gold shaft supporting the limit switches. All Rex Gold’s connections have a catenary protection that keeps them in their housing, protecting them from forced or abrupt bending and preventing breakage. The legs slide on two continuous grooves fixed to the ground with mechanical anchors. The two bases are also designed to prevent the leg slide wheels from popping out in the event of uneven operation. Photo of the hydraulic pistons, central connections and adjustable limit switches. Both hydraulic pistons have valves so that the pressure differential can be read. Any sudden leak of oil from the circuit will cause an abrupt drop in pressure, which activates the parachute valves and immediately closes the hydraulic connection to the piston itself, promptly locking the platform. When you need to install Rex Gold in a difficult-to-access area, the flanged connection beams (with flanging on the upper beam) allow the unit to be set in the lift shaft unassembled. The central leg securing pin is inserted into a reinforcement on the legs themselves, offering greater resistance to wear. The auxiliary lever connected to the back leg centres all the legs on the central axis of the unit, providing additional safety by preventing the structure from disengaging or improper lateral movement. Rex Gold’s hydraulic unit (both electro-hydraulic pump and oil tank) is built as one with the electric control panel, ensuring the whole assembly is extremely compact. Lift maintenance is simple and safe, thanks to easy accessibility of the hydraulic block, the speed control valves, and the manometer which controls operating pressure. The Rex Gold platform maximum height above ground is 4.1 metres, and its standard load bearing capacity is 3 tonnes (which can be increased to up to 4 tonnes). Thanks to its symmetry, the load’s weight doesn’t need to be centred on the platform, allowing it to double as both a goods lift and a car lift. The strong and sturdy Rex Gold weighs a total of 4 tonnes, yet is extremely compact, requiring a pit of just 51cm. The Rex Gold platform is fully galvanised, providing great resistance to the weather and outside factors. To ensure outstanding reliability, the underlying part of the Rex Gold platform is supported by a steel skeleton. 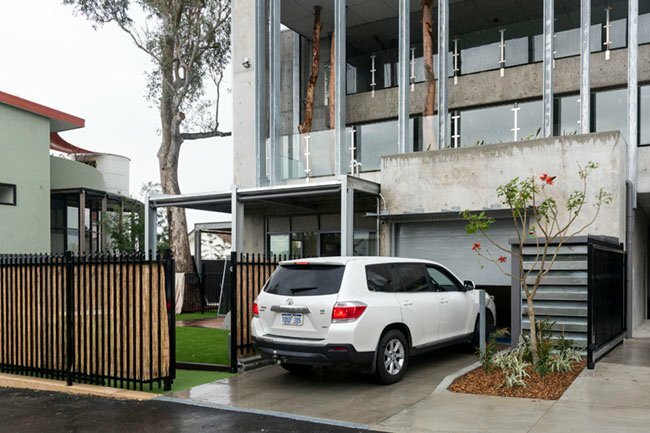 The Rex Gold platform is composed of a series of galvanised panels which are both extremely sturdy and very light. Detail showing the compactness of the Rex Gold unit. The Rex Gold platform is our top-of-the-line pantographic (or scissor lift) platform. With its four mobile points at the ends of two double legs, Rex Gold has perfect symmetry, which means there’s no need for any overhanging platform parts. Rex Gold features two outside valves installed on double effect hydraulic pistons. To lower the platform, pressurised oil must be fed into the pistons through the safety valves, which controls the rate at which it is lowered. As well as the standard operation buttons, the pushbutton panel features an emergency button and an activation key.